You might have heard the saying, â€œthe money is in the listâ€�. Your email list, to be exact. Email marketing is widely considered to be the most powerful form of marketing today, and there are plenty of stats to back it up. A big email subscriber base gives you a lot of power. You have an audience at your fingertips who like your brand and are ready to invest in it. If you have any sort of product or service, an email list is invaluable to you. The problem? It can be difficult to get email addresses. Some people hate popups with a passion and wonâ€™t give them the time of day. Even if you offer something great in exchange for an email address, some people may not be interested. One particularly effective method of getting email addresses is to include an auto-checked box in your contact form. Whenever someone contacts you through the form, there will be a pre-checked box that automatically signs them up for your newsletter. Of course, they can uncheck it if they want to, but many people donâ€™t. 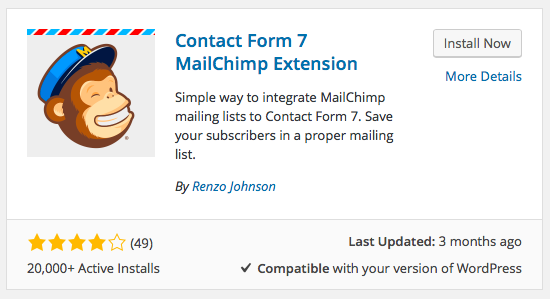 In this article, Iâ€™ll show you how to use the free and highly versatile Contact Form 7 plugin for WordPress to create an auto-checked box that will help your email list grow by leaps and bounds. I’d recommend checking your local spam laws and regulations before implementing this. Iâ€™d be interested to hear more about your thoughts and preferred approach in the comments below. After youâ€™re done creating the form itself, you can head over to the ‘Mail’, ‘Messages’, and ‘Additional Settings’ tabs to further customize your form. Next, click on the ‘MailChimp’ tab. 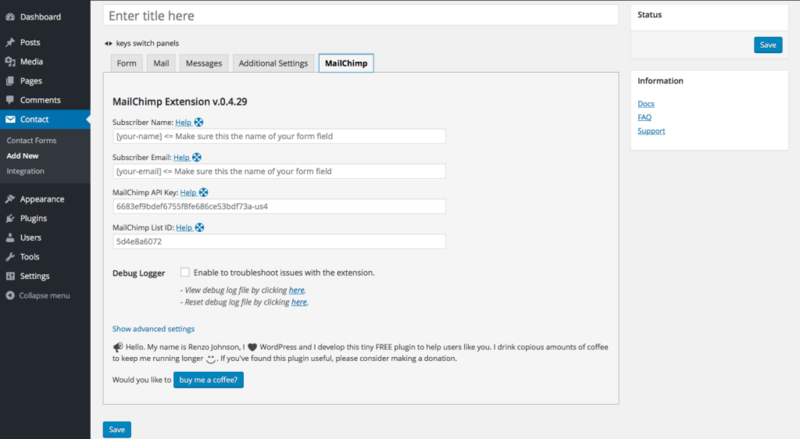 Youâ€™ll see four fields here: ‘Subscriber Name’, ‘Subscriber Email’, ‘MailChimp API Key’, and ‘MailChimp List ID’. You can replace the text with any message youâ€™d like, and I recommend replacing it with a compelling phrase thatâ€™s targeted to your audience. Save the form, and youâ€™re all done! Now, whenever someone contacts you and doesnâ€™t uncheck the box, theyâ€™ll be signed up for your list. NB: If you have double optin enabled on your MailChimp account, the sender will still receive an email asking them to confirm their subscription.